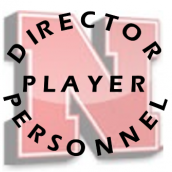 Individual player profiles with all the latest info on players Nebraska is recruiting for the 2018 class. List of '12 Signed Commits Nside!! Welcome & Congrats to the incoming Husker Class of 2012!! We're glad to have you ... I think you'll like it here. List of '09 Signed Commits Nside!! Welcome & Congrats to the incoming Husker Class of 2009!! We're glad to have you ... I think you'll like it here.